We have finally received a little bit of rain but are still behind on moisture. Since the last update we’ve had two rains totaling 1.5”. That along with the cooler temperatures has provided some relief to both the corn and the beans. The corn crop is progressing well but still seems slightly behind where one would expect it to be considering the planting dates. The cool weather we had early really slowed it up. Our first planted corn is 6 leaves from flowering and we expect to see tassels out in 14-16 days. 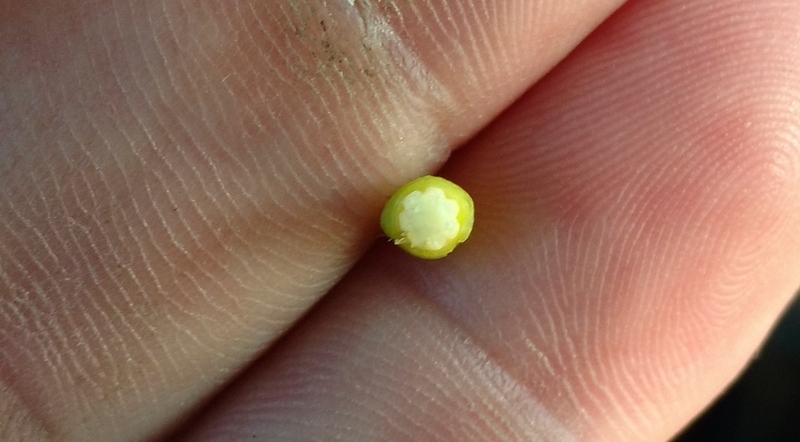 I dissected several plants in the early planted corn to evaluate what the dry conditions did to yield potential. The ears are just getting enough size to them, about half the diameter of a pencil eraser, and with the help of a magnifying glass you can count kernels around. 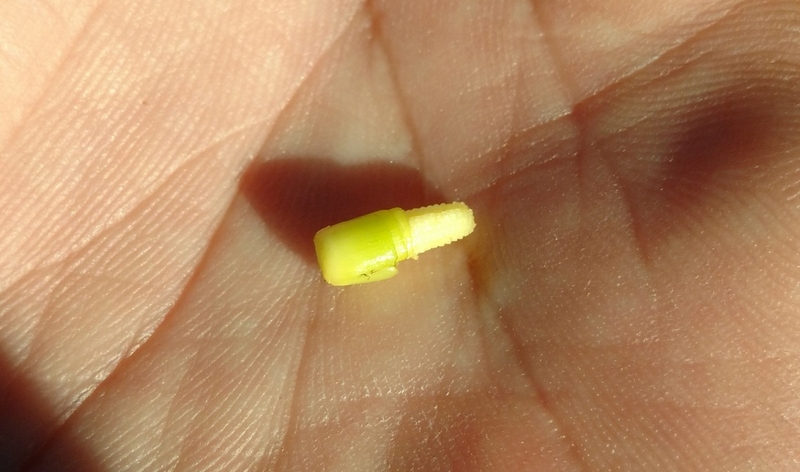 Ears seem to have definitely given up yield potential in diameter, as many were only 14 kernels around. Hopefully we will get some better weather and we will make up for some of these losses in ear length and test weight. We finished spraying all but the replant soybeans this week. They look good, but like the corn, have been effected by the lack of moisture. It is also apparent that we are going to be dealing with higher weed pressure than we’ve seen in the past. We are already discussing what we can do in the future to adjust our application timings to better handle the weed control in the beans. Yield hasn’t been effected yet, as our early beans have just begun to flower. 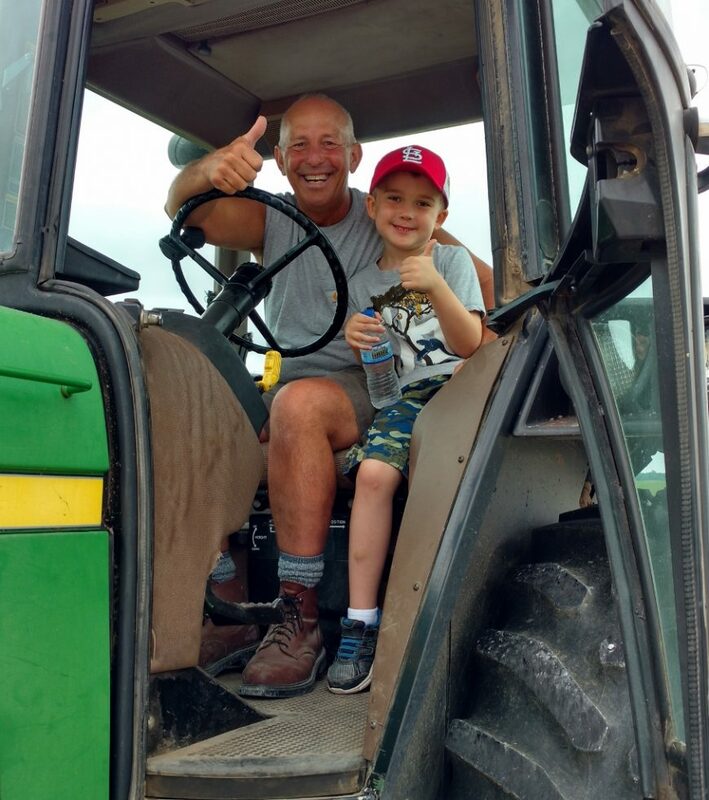 Reid was able to spend some time on the farm this past week and weekend. Just like always, it was a blend of both work and play! 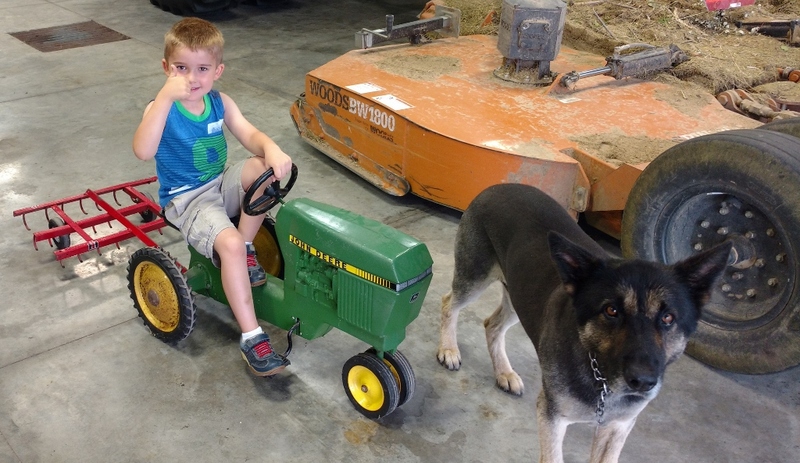 The annual Just A Mere Farm Appreciation dinner will be held at the shop as in the past. We hope to see you all here again. Invitations and details will be mailed soon!